This shop has been compensated by Collective Bias, Inc. and Mazola® Corn Oil​. All opinions are mine alone. #MakeItMazola #simpleswap #CollectiveBias Looking for a quick and easy weeknight dinner recipe? 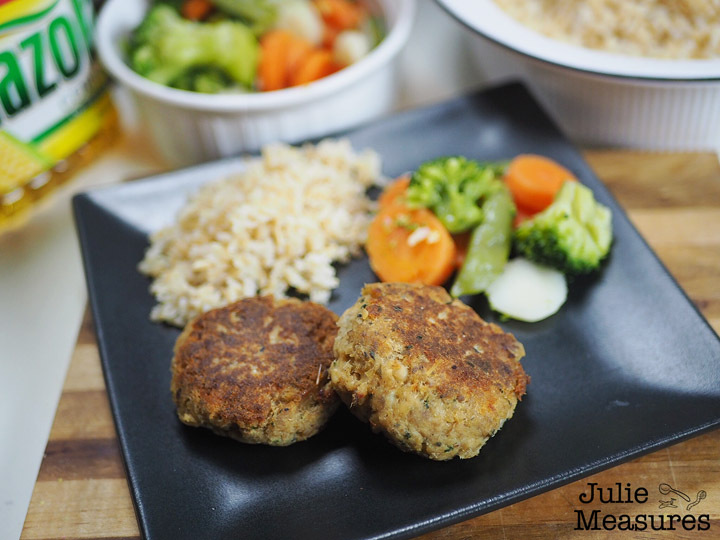 Salmon Cakes are a pantry and dinner staple! We all have childhood recipes, dishes that we remember our parents making as we grew up. 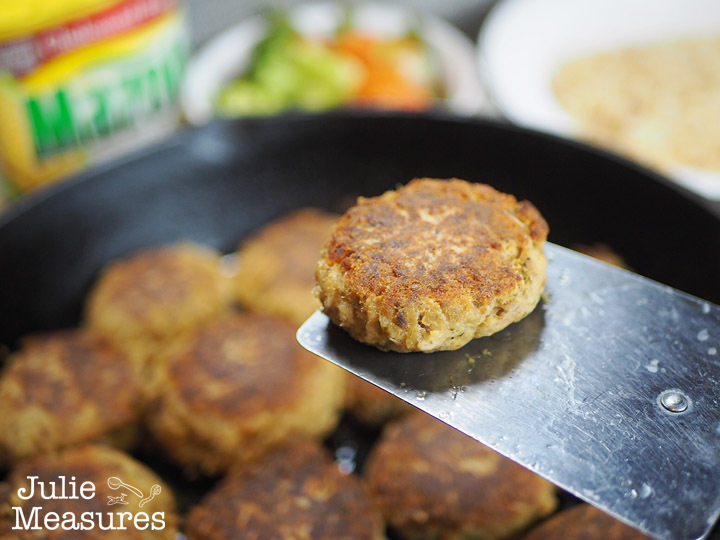 One that I remember eating frequently were salmon cakes, or we also called them salmon patties. Quick, easy, and a great way to eat more fish as a family. 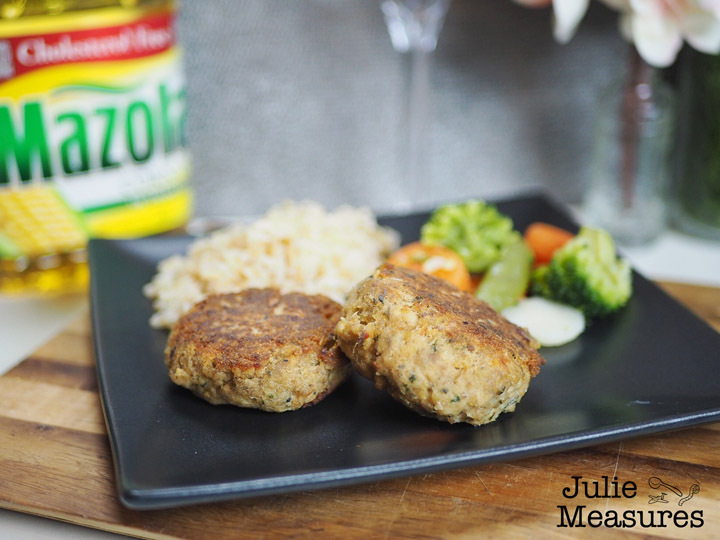 I am changing my salmon cake recipe up just a bit from what I remember having as a kid, starting with using Mazola® Corn Oil. A clinical study showed Mazola Corn Oil reduces cholesterol 2x more than extra virgin olive oil. To learn more about this claim, see Mazola.com. Now that I’m the one making dinner at home every night, salmon cakes have become one of our weeknight dinner staples as well. I always makes sure to have some canned salmon on hand to whip up this dinner in less than 30 minutes. When everyone is tired and hungry, a quick dinner recipe that everyone enjoys is the greatest thing. 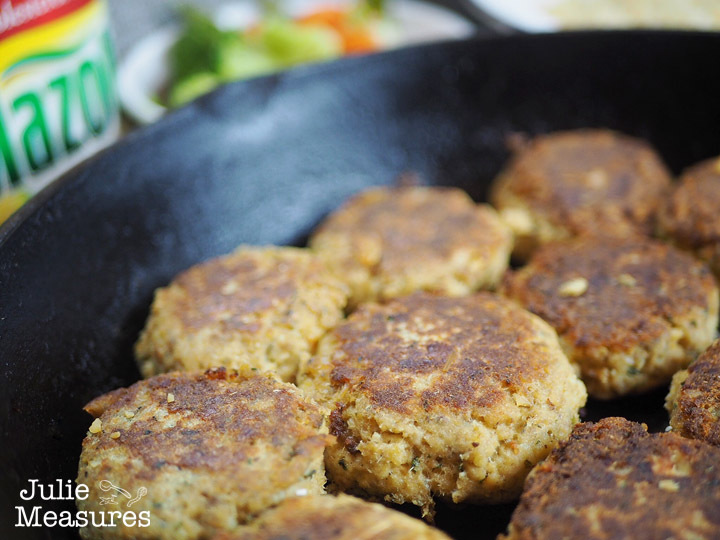 I’m making my salmon cakes in a cast iron skillet, but any oven safe skillet will work for this recipe. 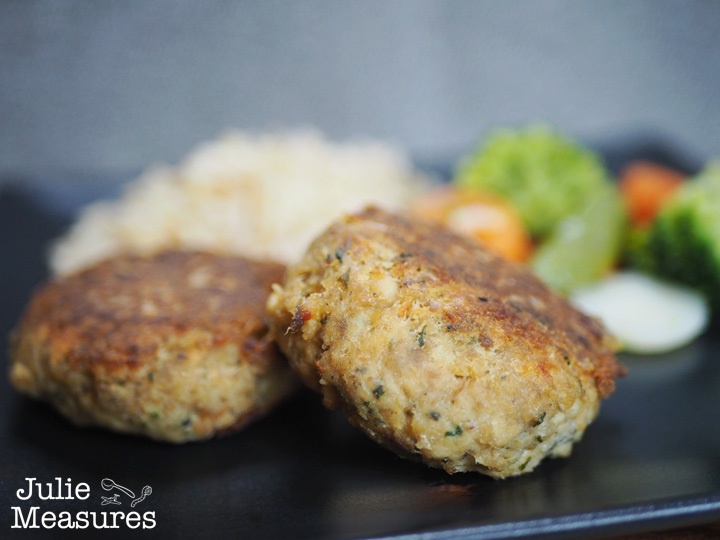 For my updated salmon cakes recipe I’m swapping out whole eggs and using egg whites, and I’m swapping traditional bread crumbs for crushed oats. Plus I’m using Mazola Corn Oil. Mazola Corn Oil is an all-purpose cooking oil that is a smart heart-healthy choice for your family. It’s perfect for a variety of uses include baking, grilling, sautéing, stir frying, or mixing up a marinade or dressing! Combine all of your ingredients in a large bowl and mix well. Add 1 Tbsp of Mazola Corn Oil to your oven safe pan. Shape the mixture into cakes and cook in your skillet for 1-2 minutes on each side. Then transfer the skillet to the oven to cook for an additional 10 minutes. 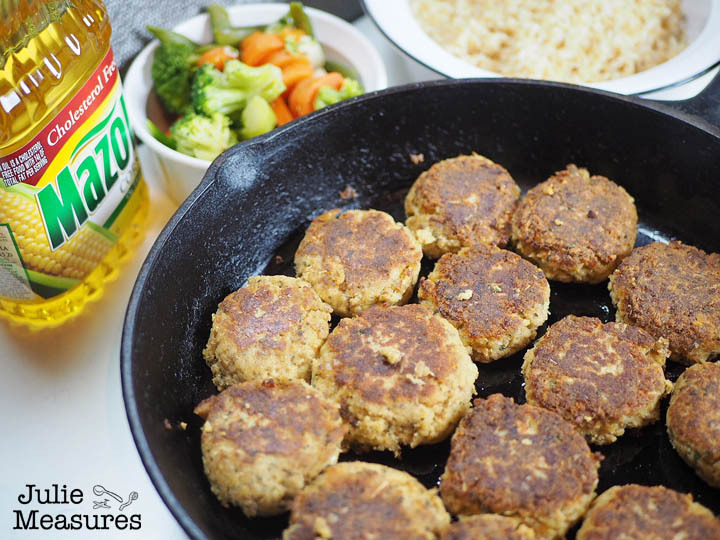 While the salmon cakes finish cooking in the oven you can quickly make some brown rice and vegetables to go with your meal. One of the great things about cooking with Mazola Corn Oil is that it has a neutral taste that lets the natural flavor of your food stand out. I like to include fresh parsley, dill, and red pepper in my salmon cakes. Pour oil in pan. Heat pan over medium heat. Combine salmon, egg whites, oats, parsley, red pepper, and dill. Mix ingredients together well. Add cakes to pan and cook 1-2 minutes on each side. Transfer pan to oven and cook for 8 minutes. 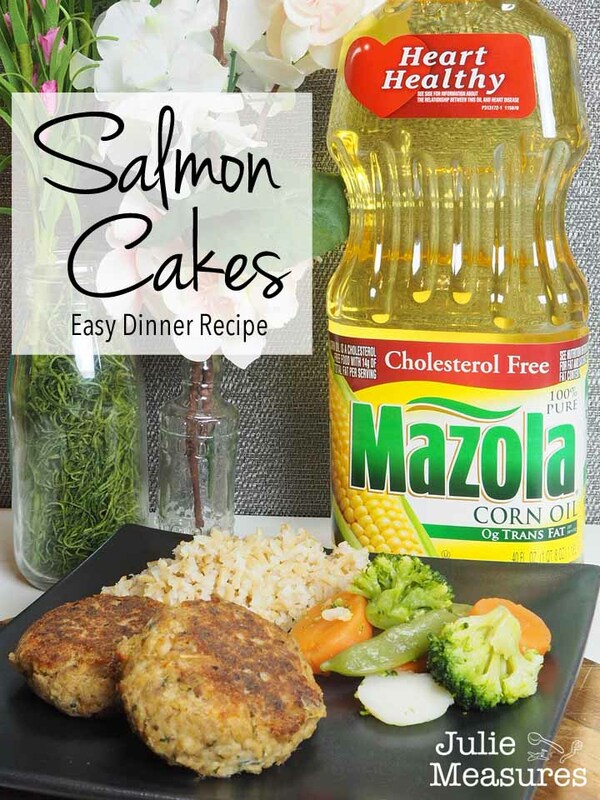 No worrying about finishing your salmon cakes in the oven with Mazola Corn Oil. Mazola has a smoke point higher than most cooking oils at 450°F and performs well in a variety of cooking applications. Many home cooks may not realize that all cooking oils have a smoke point that, once exceeded, also negatively affects the food’s flavor and nutritional value. What recipe will you try swapping out with Mazola? Let me know!